From paper cut design recreating a folded piece of folkloric paper to green skyscrapers bringing a new twist in architectural design in 2009, these amazing concepts are a futuristic outlook for modern living. Whether it's a new idea for eco-living environments like the innovative Green Towers designed by the Perkins Eastman Firm or going back in time in a surrealistic retrospective of Edward James’s bizarre residency in the middle of a jungle, these images will grab people’s attention. 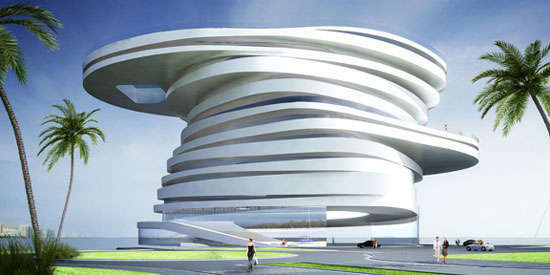 I would like to point out the 5 star luxury hotel in Abu Dhabi, a fascinating, thunder-like shape adding a fresh breath of life to the future in design, or collage of otherworldly places of worship. 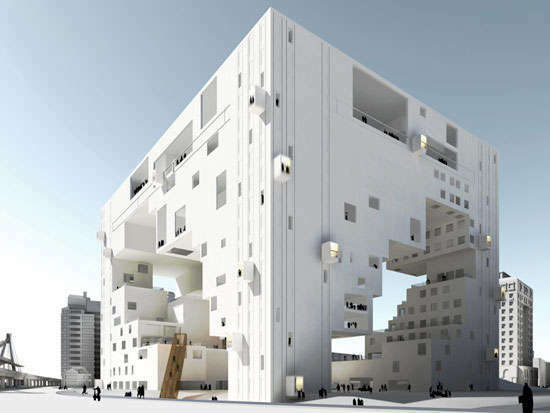 Check out the cluster below for examples of marvelous wonders in architecture.